Develop innovative biotech processes useful to produce molecules with wide application in different sectors like chemical, pharmaceutical and cosmetics. Develop innovative computational methodologies appplied to the biotechologies. 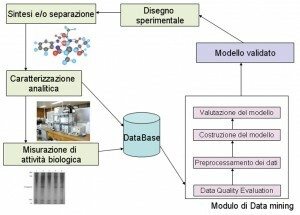 The core competencies and activities of Milano Ricerche concern the set up of a structured system for data management, including information about toxicology, pharmacodynamics, pharmacocynetics and chemical of specific activity molecules. The key factor of a structured system of data management is to aggregate and release research results in order to influence future investments both for research and development and production helping to better allocate those available resources in a profitable way. A data framework developped in a multi-users perspective, provides also a fundamental tool for the condivision of results among many different interactive professional profiles. Using advanced technologies of machine learning and data mining allow to derivate information about molecules not yet experimentally measured. In this way, Knowledge Discovery attends the experiments design management. 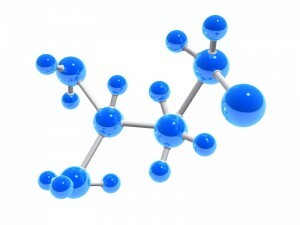 “in silico” data, coming from molecular modeling procedures. 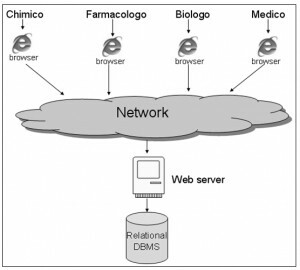 Finally, the overall system is realised through a multi-users web oriented architecture. This is the general usage scheme of the archive.